Below are some fun questions rather than just a load of pictures for you. There are no prizes but let me know what you think. 1) The questions are from a 5 year period but when? 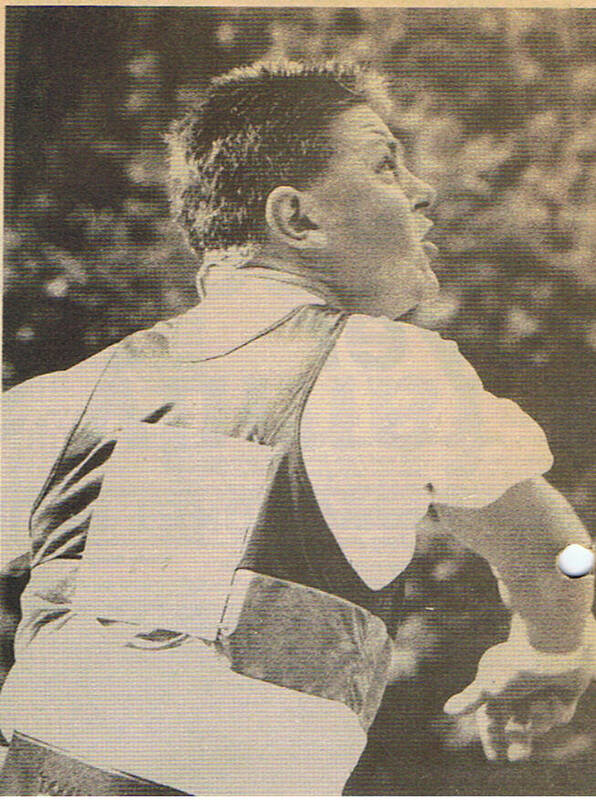 2) Who is this good looking guy running the stroud half marathon? Shame about the vest! 3) Who is this competing in every event possible? and I think this was taken at the last running of that race? 6) When looking for photos I came across these quotes in an article in the Banbury Guardian but what replaces the ******? "The priority for an ******* is on a par with a dry ski slope and a skate board park"
"The ******** would be very expensive and used by a relatively small number of male enthusiasts? 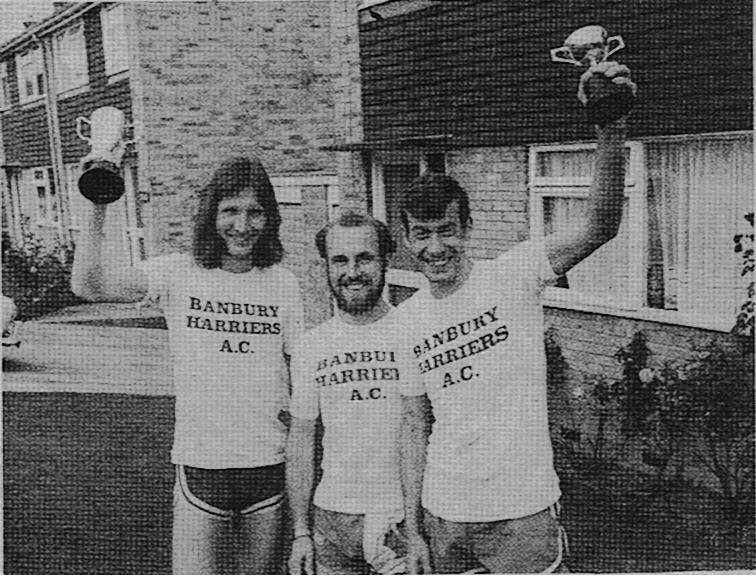 but how many can you name and what was our 10 mile race they are in? Sorry about the punched holes. crew about to run the london Marathon. 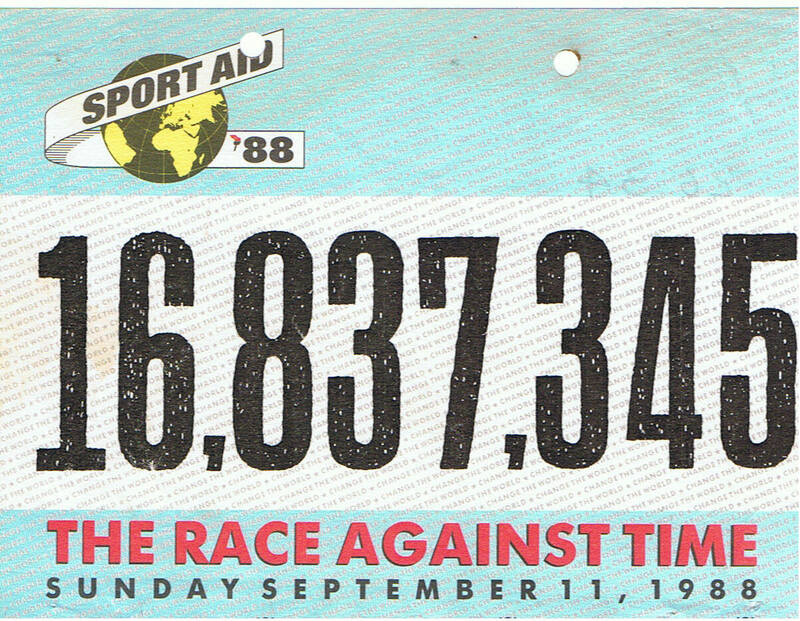 9) in what race was this my running number? 10) Who are these three? I'm not sure about the year. 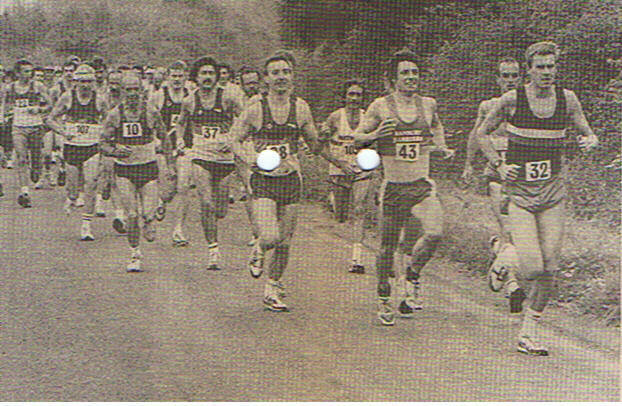 5) Nigel Braggins running the AP20 in 1989 He recorded 1.59.27 over a hilly route, which, if the wind was against you it was there all the way I ran it the same year (end of November)& still remember the cold. It was called AP20 beacuse it was the race between Automotive Products factories in Leamington and Banbury. It had to close when the M40 was built cutting through the route. 7) Harriers from the right. 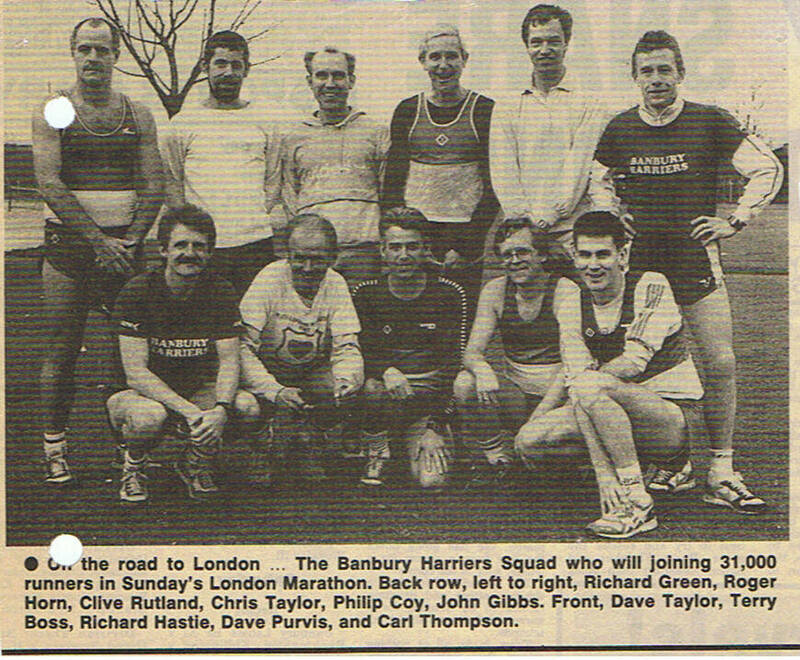 Nigel Braggins(43), John Shaw, Gareth Joiner(37), Terry Boss(10), Dave Taylor and I'm not sure about the rest. 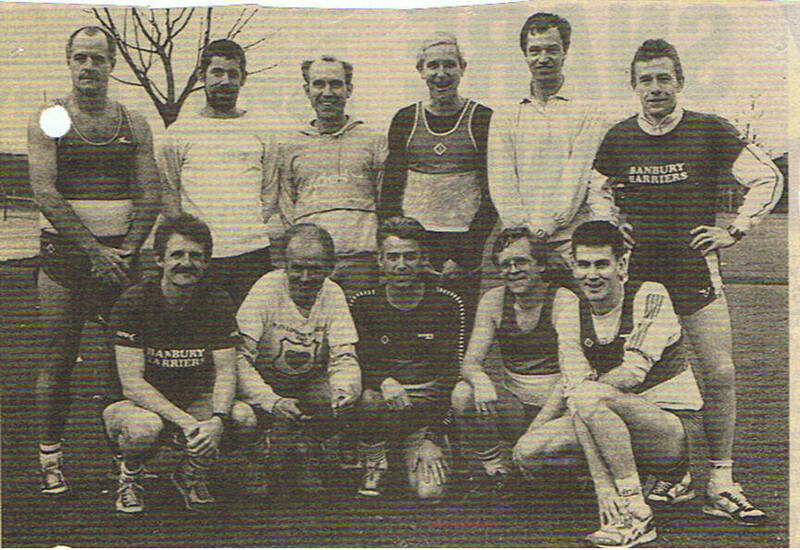 The race was the Don Sullivan 10 in 1989 starting and finishing in King's Sutton.